As a teen, Hall put together a band called the Kentucky Travelers that performed before movies for a travelling theater. 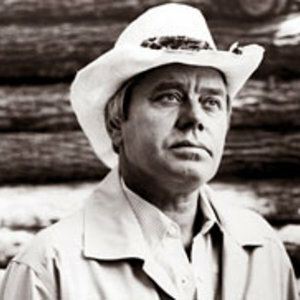 During a stint in the Army, Hall performed over the Armed Forces Radio Network and wrote comic songs about Army experiences. His early career included being a radio announcer at WRON, a local radio station in Ronceverte, West Virginia. Hall's big break came in 1963 when singer Jimmy C. Newman recorded his song "DJ For a Day." In 1964 Hall moved to Nashville, TN, and within months had songs climbing the charts. Nicknamed "The Story Teller", he has written songs for dozens of country stars such as Johnny Cash, George Jones, Loretta Lynn, Waylon Jennings, and Alan Jackson. One of the most popular songs, "Harper Valley PTA", was originally recorded in 1968 by Jeannie C. Riley, sold over six million copies, and won both a Grammy and CMA award. The song later would inspire the motion picture and television program of the same name. Hall's own recording career took off after that and he had such hits as "A Week in the Country Jail," "Old Dogs, Children and Watermelon Wine," "I Love," "Country Is", "The Year Clayton Delaney Died," "The Old Side of Town," and "I Like Beer." He was also noted for his children's songs, the most popular being "Sneaky Snake". He also hosted the syndicated country music TV show Pop Goes the Country. He has a son, Dean Hall, who is also a singer and member of the MuzikMafia. A hard-rock adaptation of his song I love would later be featured in a series of successful television commercials for Coors beer.